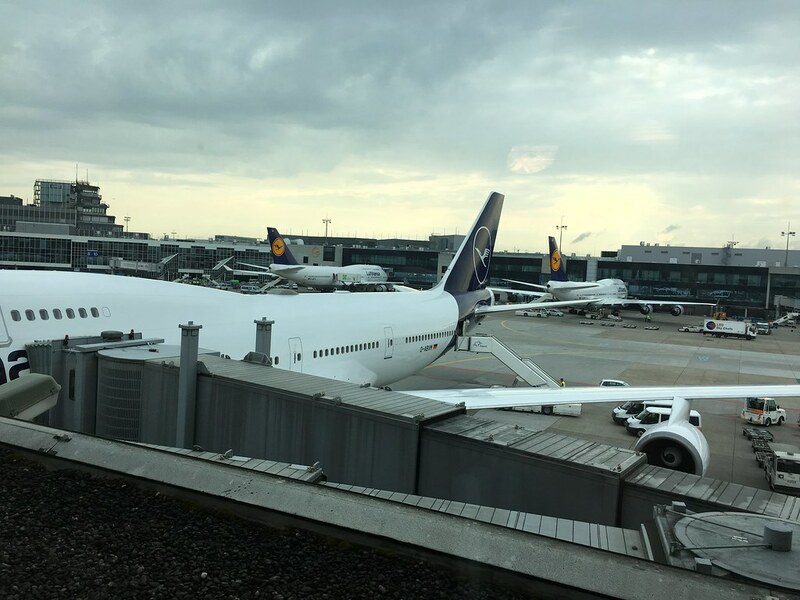 Welcome to Part 2 of my trip from Bengaluru to Detroit via Frankfurt on Lufthansa. 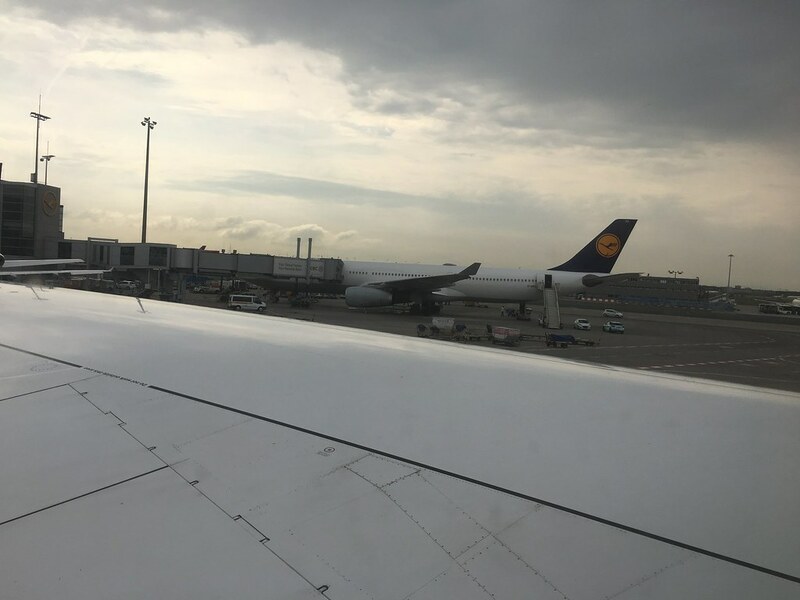 I had just landed in Frankfurt after an 8 hour and 50 minute flight from Bengaluru on LH755. 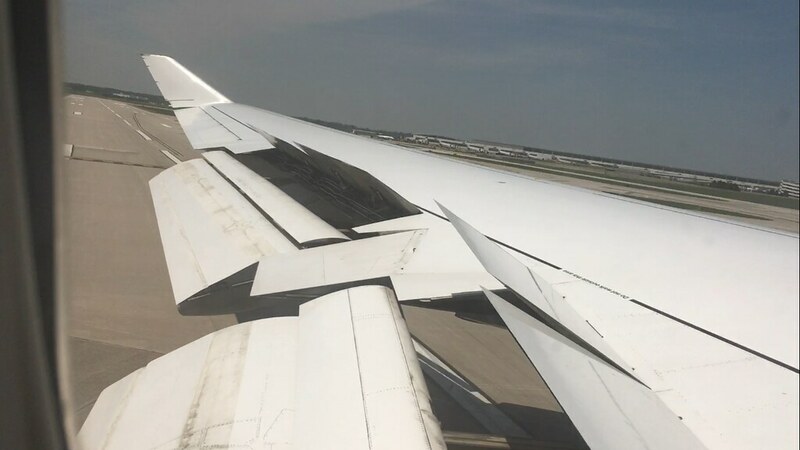 All hopes of an easy and comfortable transit experience to the Detroit flight out of Concourse Z were brought crashing down after the chief cabin supervisor announced that we’ll be handing to Gate B23A after landing. Google had indicated that we would be heading out to Gate Z54A initialy. 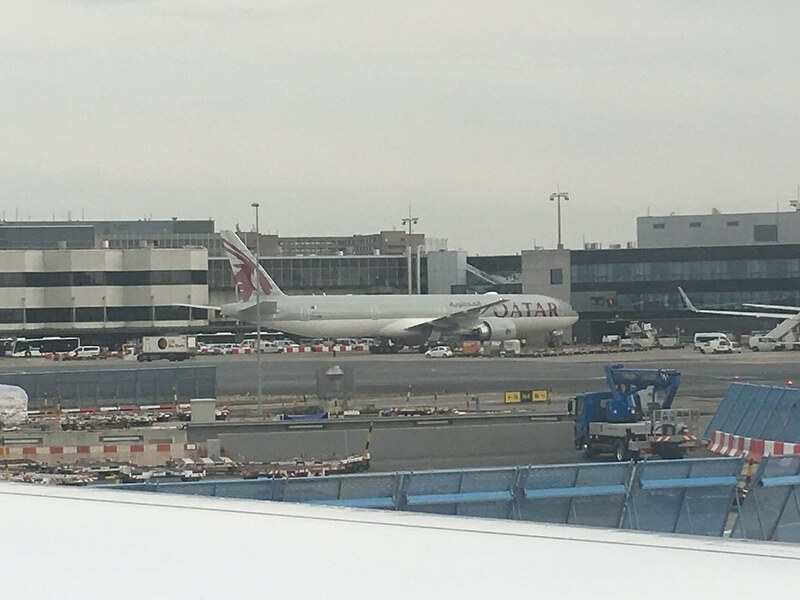 Most of the passengers seemed to have tight connections, the line in the aisle cleared quickly, and soon, I was out of D-ABYJ. 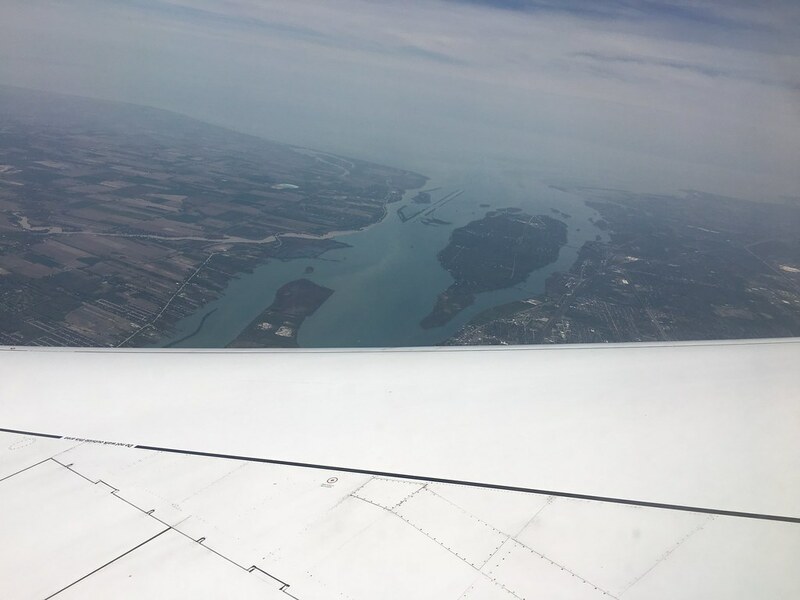 I would like to apologize for the lack of pictures during transit, I had to pick between making the flight and taking pictures, I chose the former. 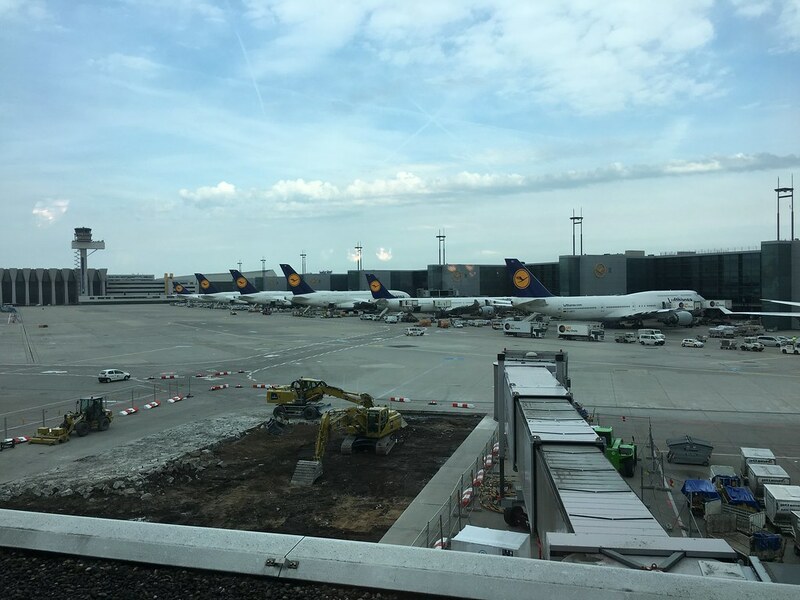 There was a lot re-directing in Frankfurt Airport. 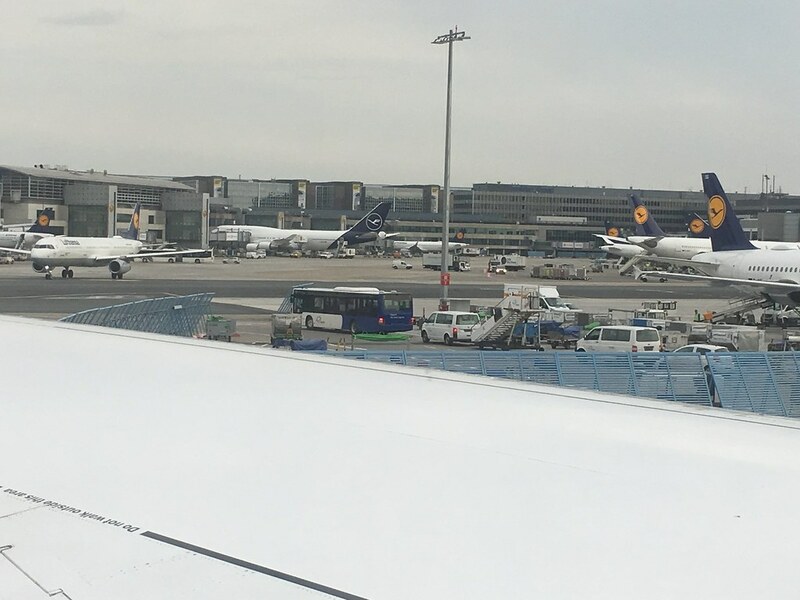 Lufthansa and Frankfurt Airport agents were present everywhere to help passengers getting around the Terminal. The security check area was just one level below Gate B23A, fortunately, the lines at Security were not too long. I was in the line and out in 15 minutes. I followed the signs to Concourse Z and reached the Document check counters. I was one of the few at the counters, and the check didn’t take too long. 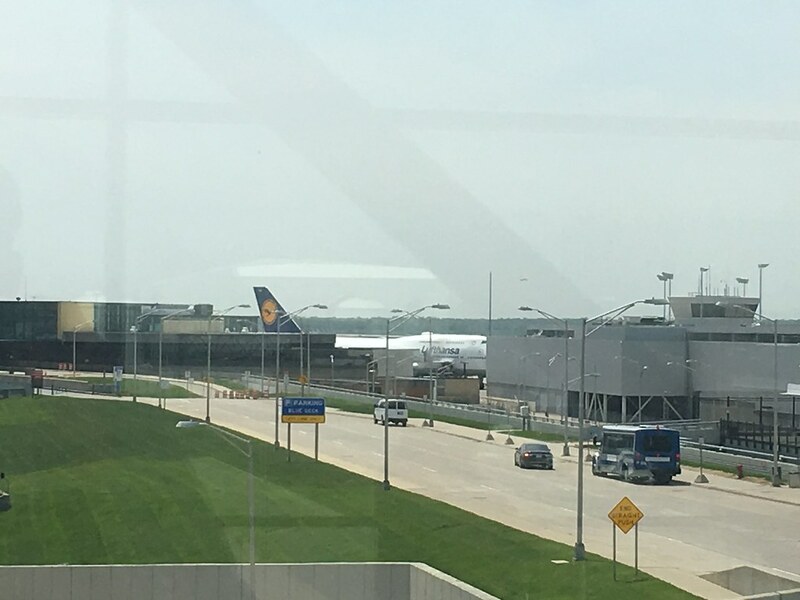 From here I was directed to a bus bay, quite interesting, given that in all my previous transit experiences at FRA, I always had to take a train from Concourse B/Concourse C to the Z Gates. I was one of the last to board the bus. 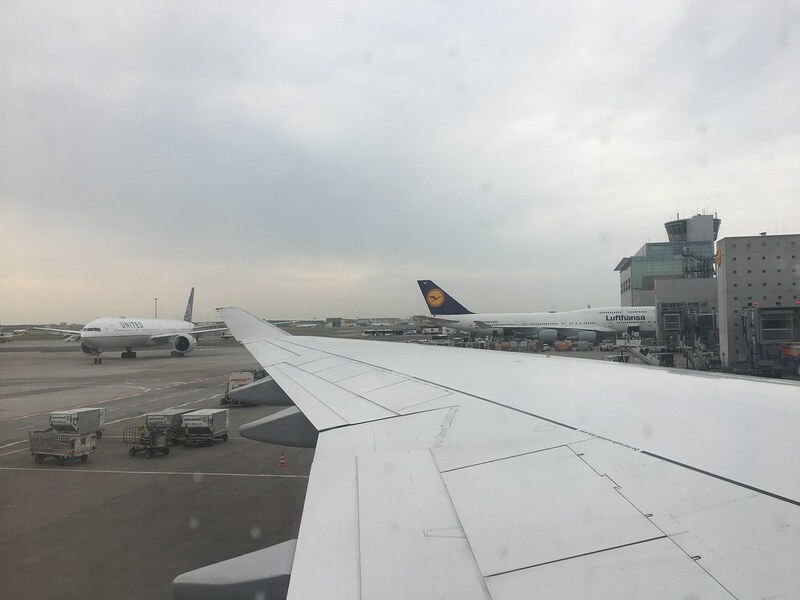 The views were brilliant, I’ve never had the chance to see the massive jets that Lufthansa has from such close quarters. 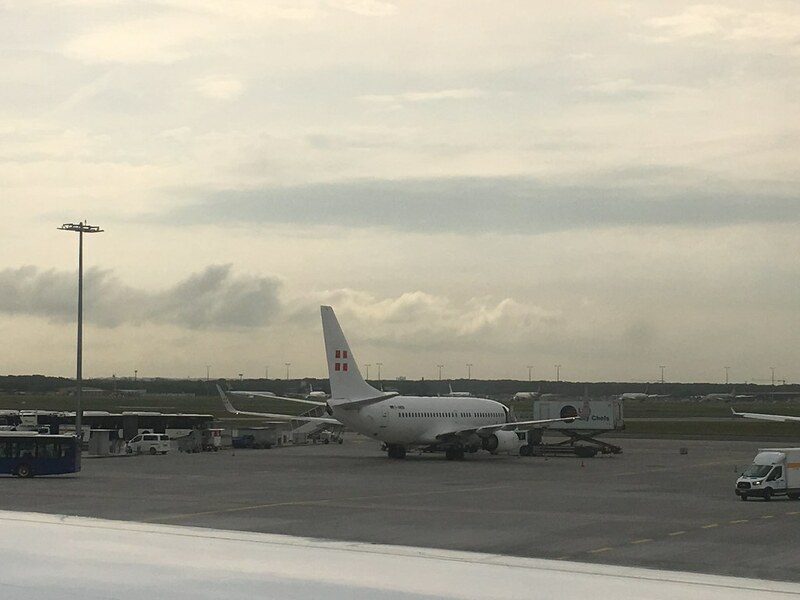 We also drove past D-ABYJ, the B748 that brought me to Frankfurt. Baggage unloading was on in full swing. However, the fact that I was standing took photography out of the question. We finally reached Concourse Z after a 10 minute ride on the bus. The departure gate for LH442 was not too far away, I could slow down now. 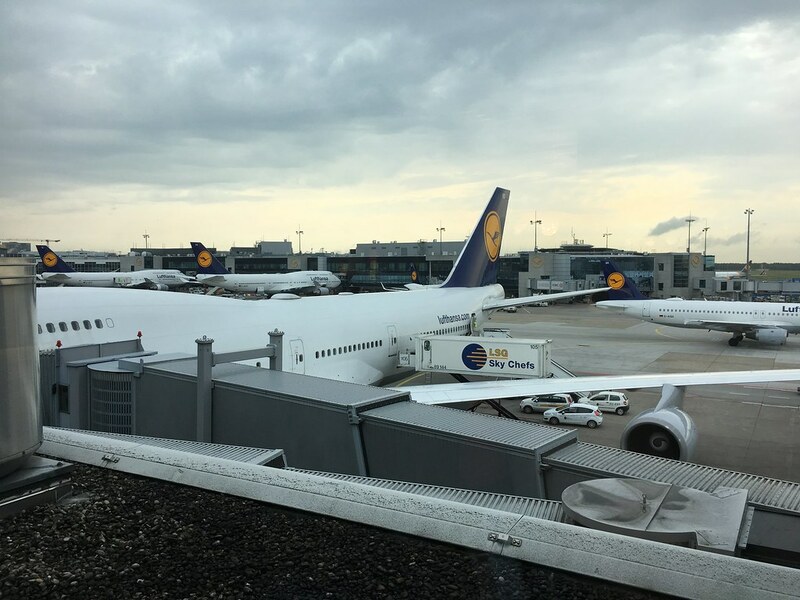 While I was on my way to gate Z16, I saw D-ABVM, the first Boeing 747-400 to be painted in Lufthansa’s new colors. Interestingly, this aircraft shares it’s name “Kiel” with another Lufthansa Boeing 747-400, D-ABTK. There was a lot of news on D-ABVM’s new paint job. Lufthansa was trying out a different shade of blue for the tail, after finding out that the blue they had used initially on the D-ABYA’s (the first Lufthansa jet to wear the new colors) tail looked almost black at night. 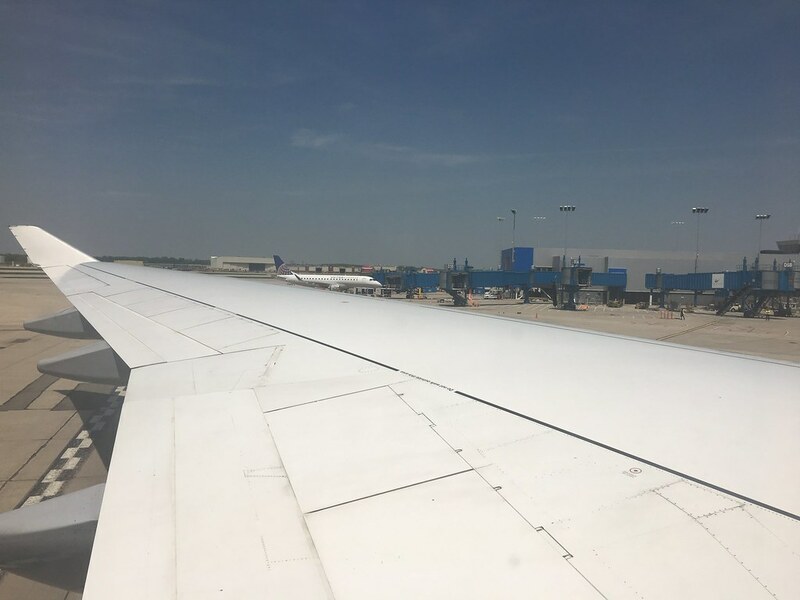 When I finally made it to Gate Z16, I had just enough time to call my family home to tell them that I had made it just in time and would be on my way to the Motor City. D-ABVO would operate LH442. The 22 year old bird built in Everett, Washington was named ’Mülheim An Der Ruhr’. Boarding was already underway, I joined the line and made my way down to the jet bridge. 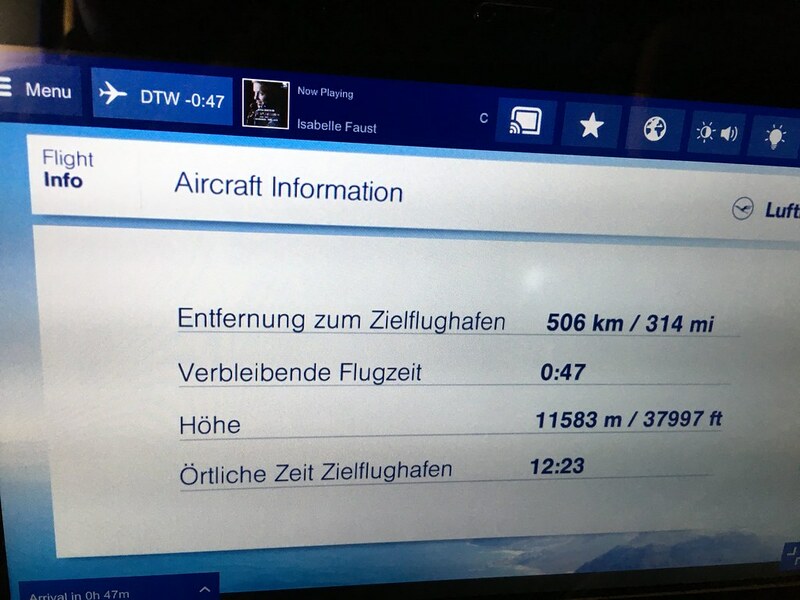 Actual Flying Time: 8 hours and 07 minutes. Two friendly Lufthansa agents who were greeting passengers at the door directed me to my seat, 36K. As I was settling in, the Captain made his pre-flight announcement. I missed large parts of the announcement, the PA system’s volume was too low, and the air conditioning system was blasting away. 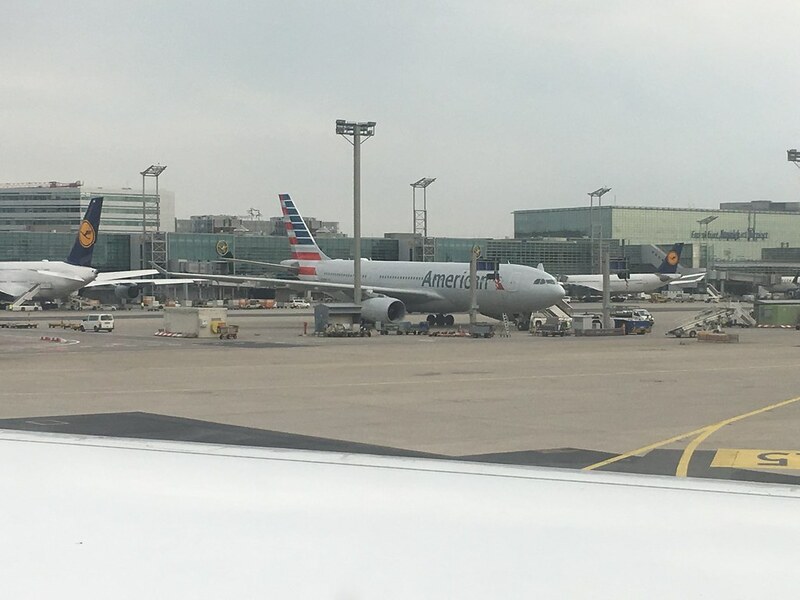 In what was a very brief announcement, the Captain had announced that we would be leaving late, due to congestion at Frankfurt airport. I spent time fiddling with the IFE screen. A quick note on this: Compared to the system on the Boeing 747-8i, these were great. 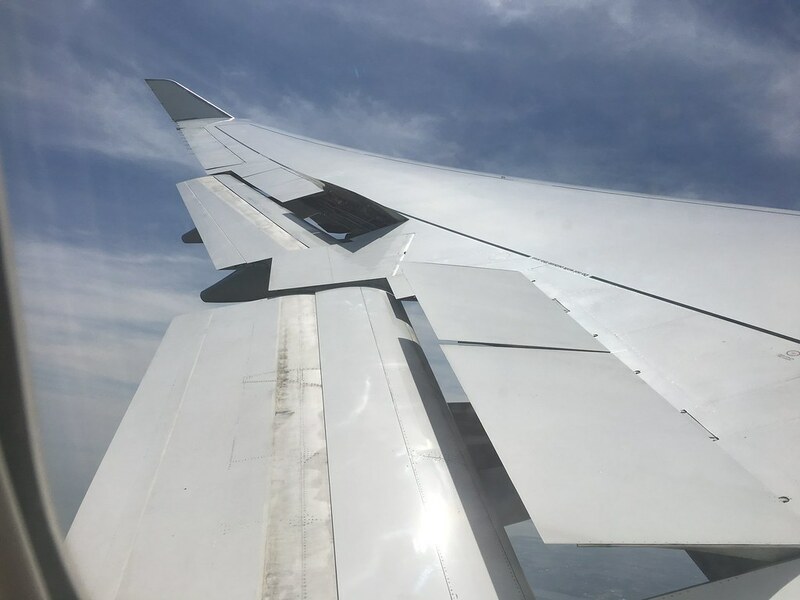 The same system was in use on the airline’s Airbus A340-300 fleet and was extremely responsive and sharp. 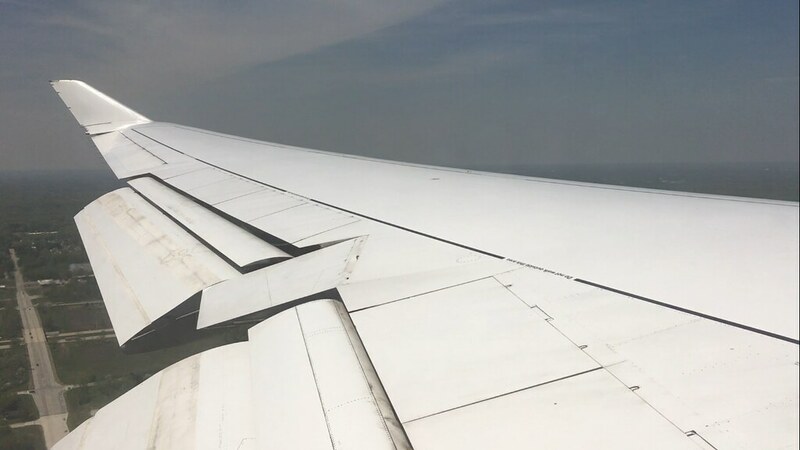 What was missing and would’ve been wonderful was In-flight cameras. 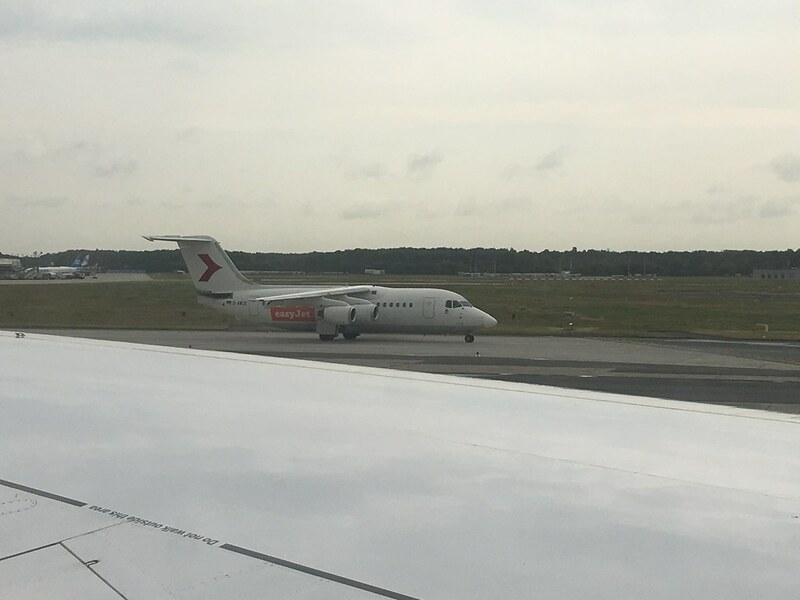 After waiting for an D-AWUE, a BAe - Avro RJ operated by EasyJet we turned on to Runway 25C. 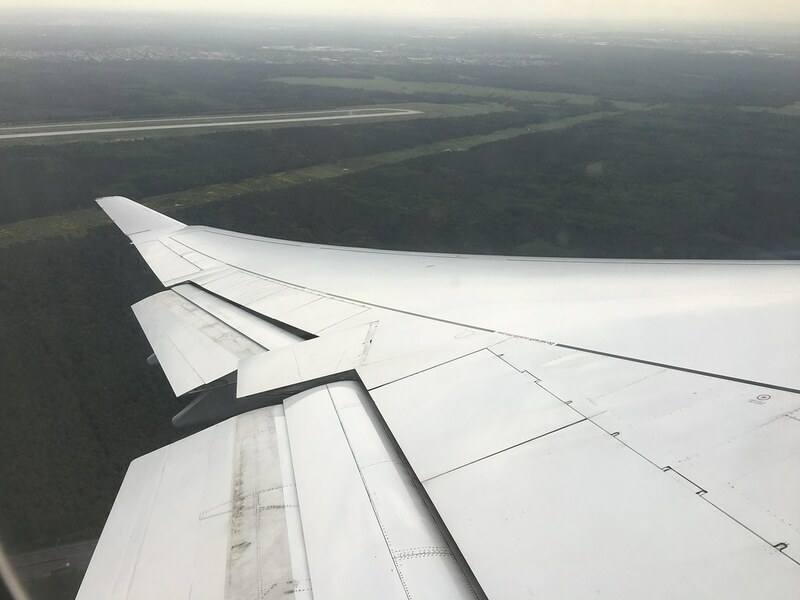 The 4 engines spooled up to take off thrust and soon enough, we were airborne, on our way to Detroit. 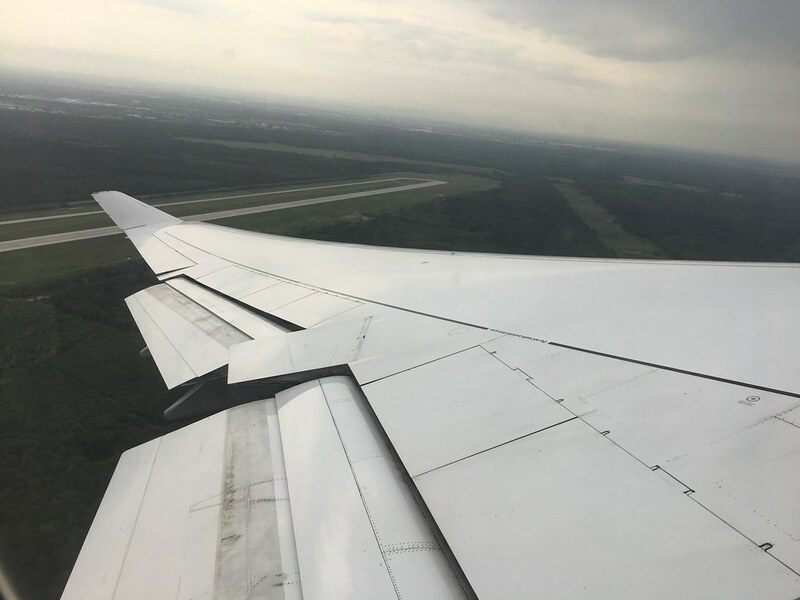 We turned left after take off to head south (that Runway is RWY 18, an only departure runway)..
We continued our climb over western Germany and Netherlands and crossed over the English Channel after flying over The Hague in Netherlands. 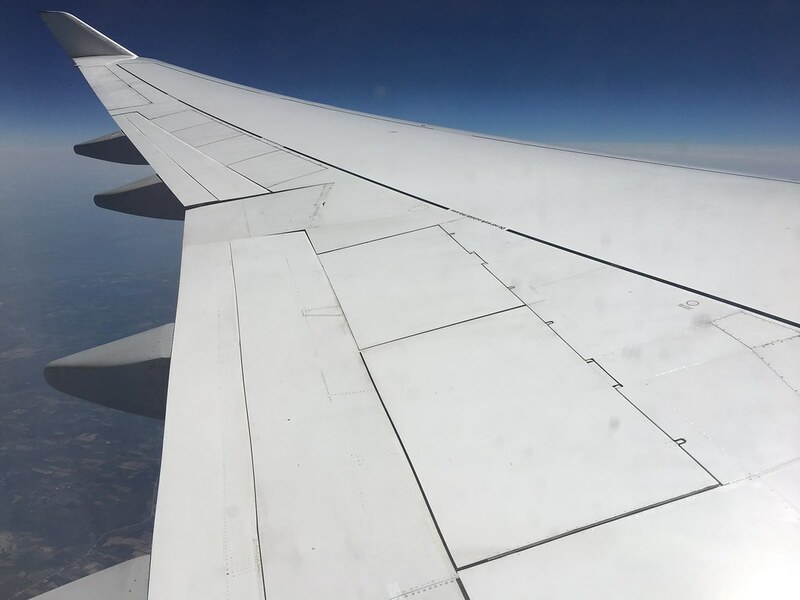 As we were settling in for our flight over the Atlantic, the flight attendants served us a packet of pretzels and drinks. As always, I opted for apple juice. 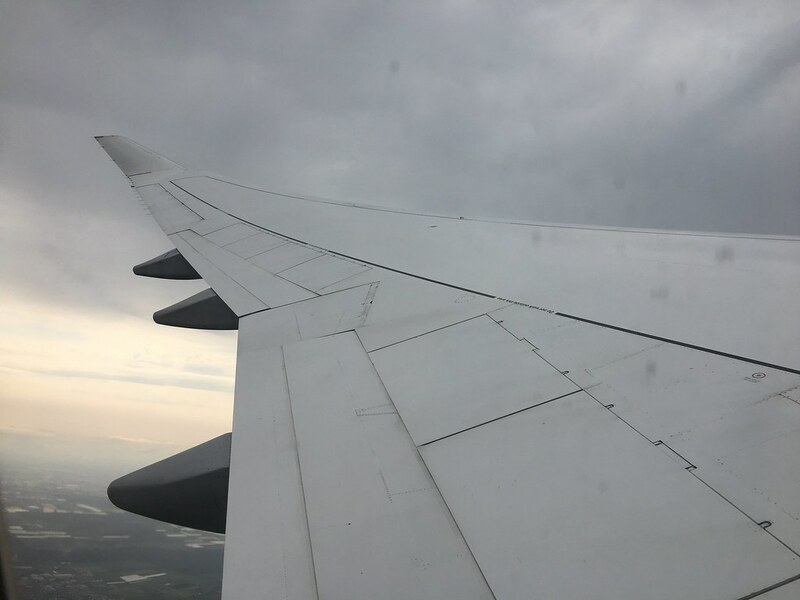 I took out my laptop after finishing my snack and worked on Part 1 of this trip report for while and then switched over to some documentaries on the in-flight entertainment system. I had rather friendly co-passengers, a coulpe from Michigan. A short while later, I was served my Asian Vegetarian Meal. There was nothing great to write home about, the food was rather tasteless. The main course consisted of Moong Dal, Jeera rice, potato in a bland tomato gravy served with Raita and mango pickle. A bun, with butter and cream cheese was also a part of the tray. The Semiya Payasam/Vermicelli Pudding tasted the best amongst everything served. I had some Masala Tea with lunch. I watched a movie for a while after lunch, and 2 hoours later was fast asleep. 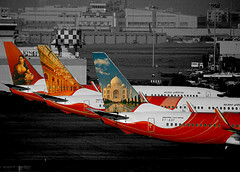 The effects of an uncomfortable and mostly sleepless flight from Bangalore, were being felt. 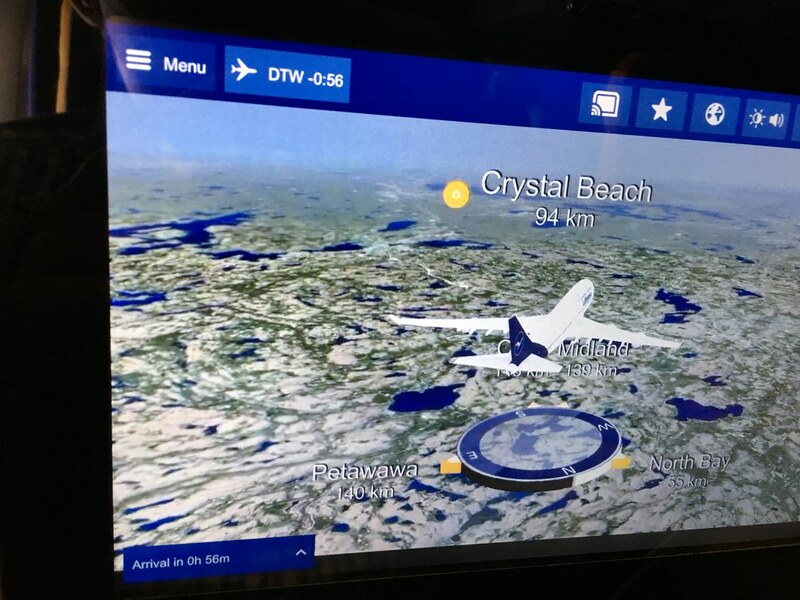 I woke up when we were flying over Canada, with around an hour and thirty minutes to arrival. I made a quick visit to the restroom to brush my teeth (odd isn't it?). We were then served a snack. 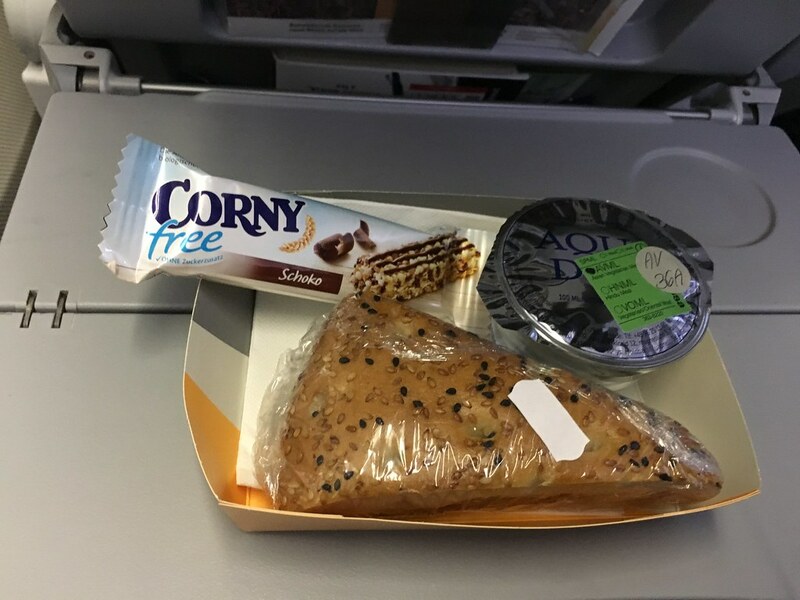 The vegetarain option had a coleslaw sandwich and a chocolate flavored granola bar served with water and drinks. It was orange juice this time. With around 30 minutes to go, at 12:30 EDT, there was an announcement from the flight deck, none of which was audible. 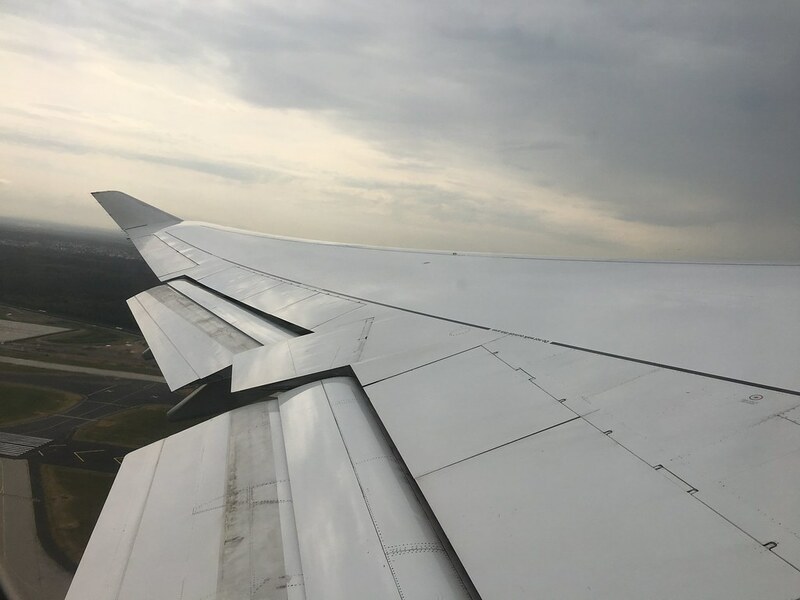 We had begun our descent and the seatbelt signs were switched on. Interestingly, the United States seems to have dispensed with the Customs Declaration form. 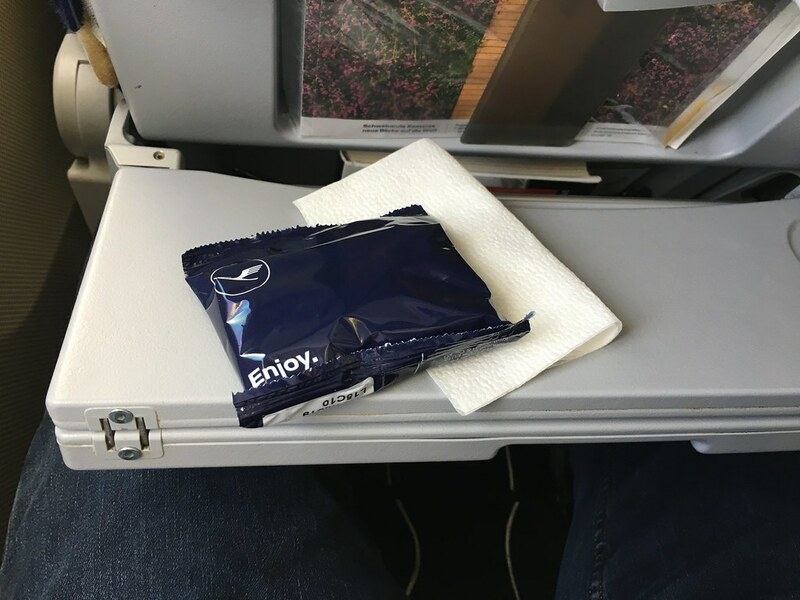 Usually the cabin crew would hand them out once you board the flight in Frankfurt. 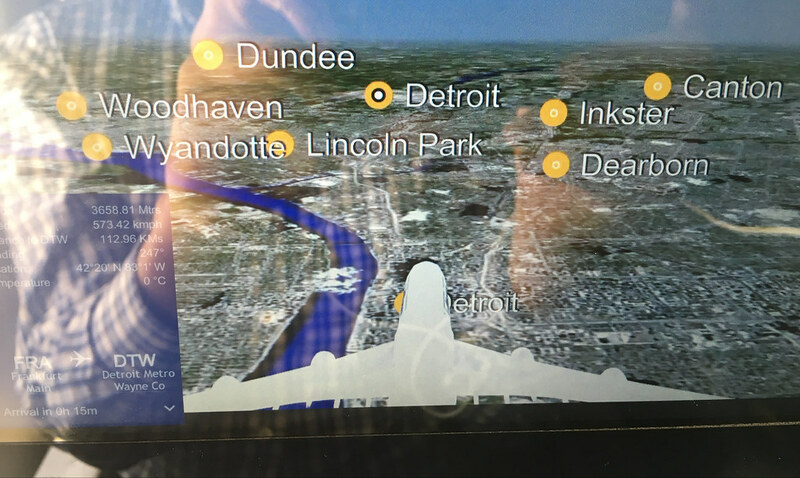 We flew south along the Detroit river and then turned north for a landing on Runway 3R. 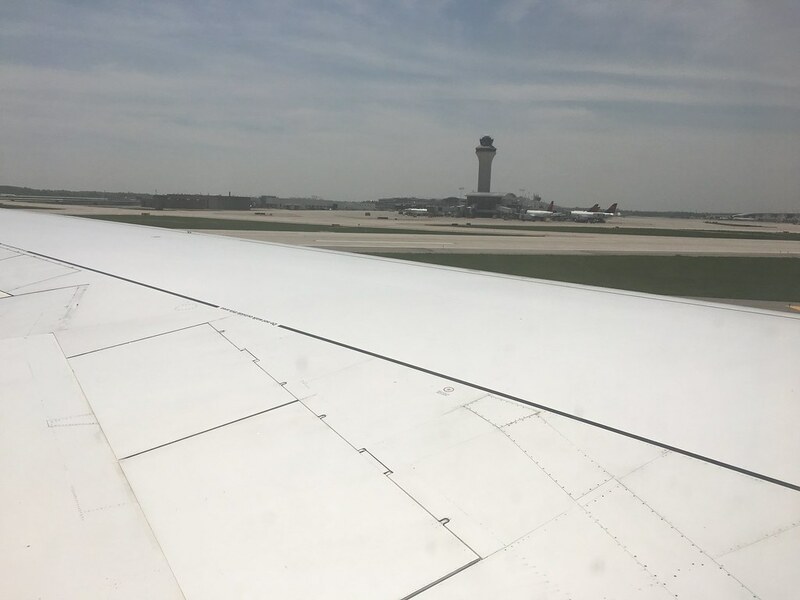 It was a rather long taxi from Runway 3R to Gate D15 in the North Terminal, we taxied on a bridge over the John Dingell Drive before reaching Gate D15. I picked up my bag after we docked at the gate and walked out of D-ABVO. 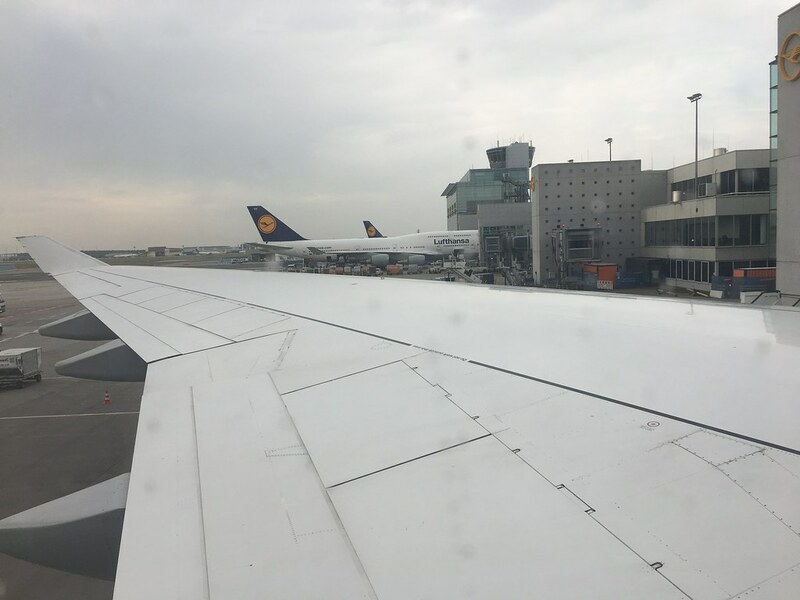 It was a pleasant flight on Lufthansa, one I spent mostly asleep. The food though, could've been much better. 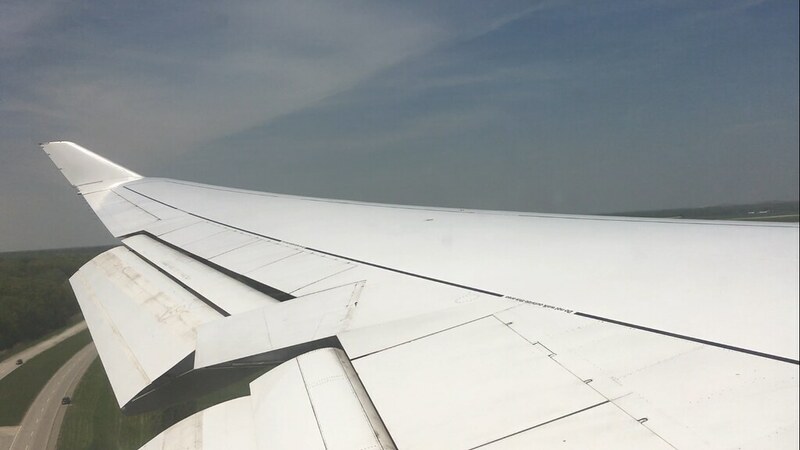 What followed after I left the aircraft was the quickest immigration and customs clearance I have ever had. Given my previous experiences, standing in line for around 3 hours, I was mentally prepared to do it again. However I found myself walking out of the terminal 30 minutes after I had left the aircraft. I decided to book a cab operated by 'Lyft'. 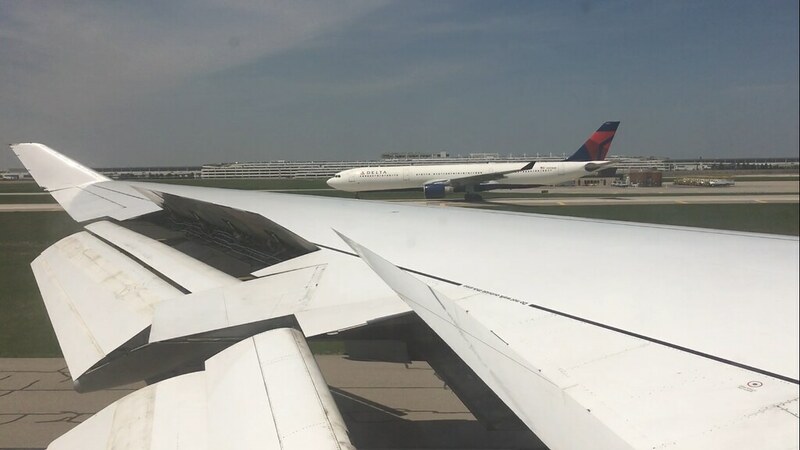 Getting to your cab at DTW-North Terminal can be tricky, especially if it's your first time. The signs at the airport do a wonderful job of confusing and misleading you, as had happened to me in May 2017. Nothing had changed in terms of airport signs, fortunately I found my way this time. 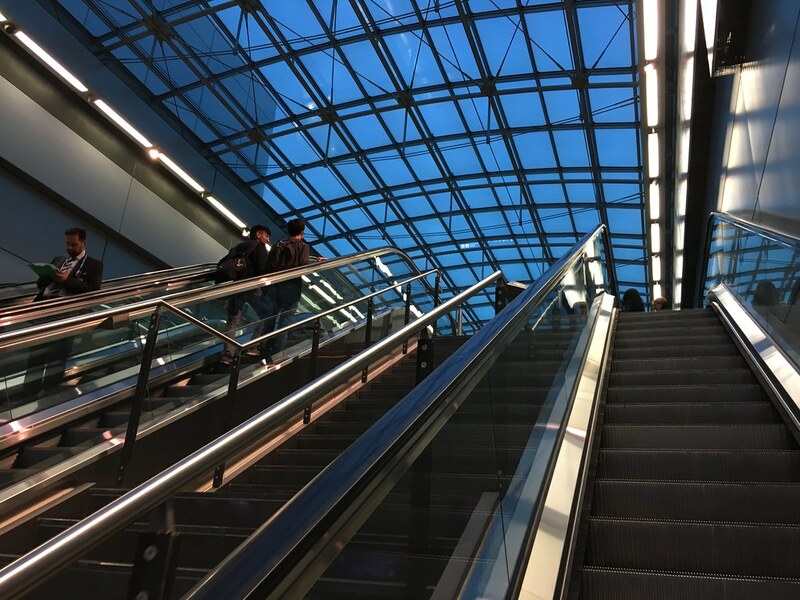 One has to take the elevator to the Ground Transportation floor (Level 4), cross a bridge connecting the Terminal and the Parking structure and follow the "Rideshare" signs to reach the Uber/Lyft cab pickup bays. My cab arrived on time and while I was on my way to Ann Arbor, my mind was still in Bangalore. I was already missing home. Thank you all for reading, I hope you liked it. Let me know what you think in the comments. ...and for some reason, my earlier reply to this lovely TR got wiped out. 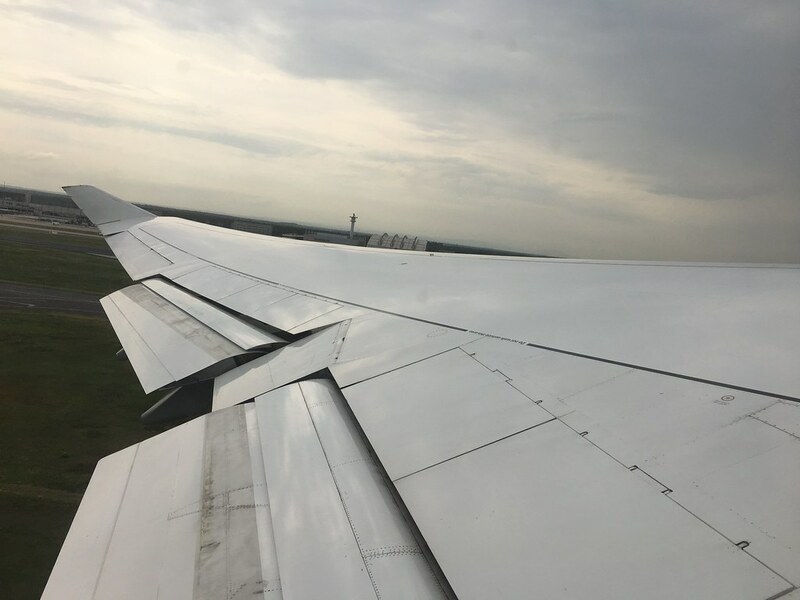 Bad luck with the tight connection, and though you reached 10 minutes early, the arduous journey to your gate (with some lovely views!) was not pleasant! 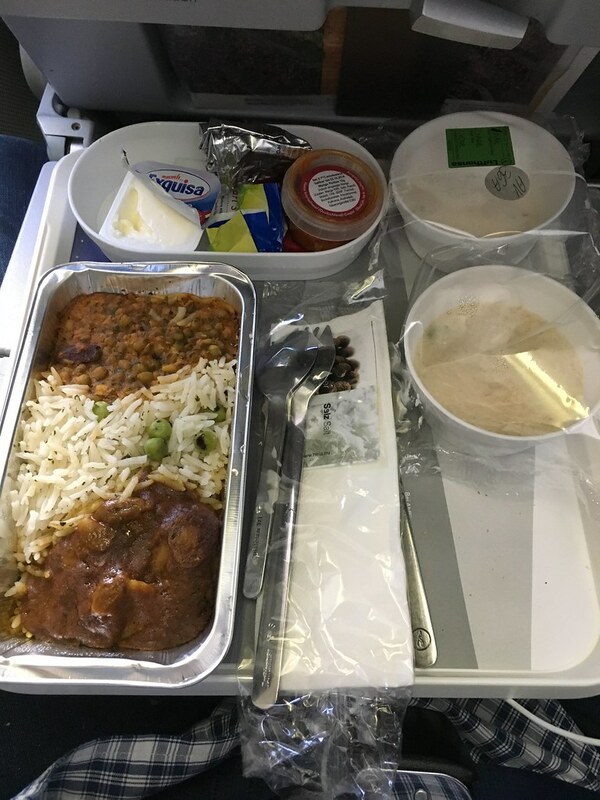 LH has had some iffy meals (and often not too good on the quantity part, as well), and apart from AI and TG, AVML is one offering where airlines do not seem to get it consistently right. I wonder how the iDlIs were on your previous flight. These are notorious post-reheat, and AI possibly seems to consistently dish out the best at FL29 and above, with their recipes and detailed instructions, more often than not. Thank you for sharing this lovely TR with us...and we look forward to more! Thanks for taking the time to read sir! 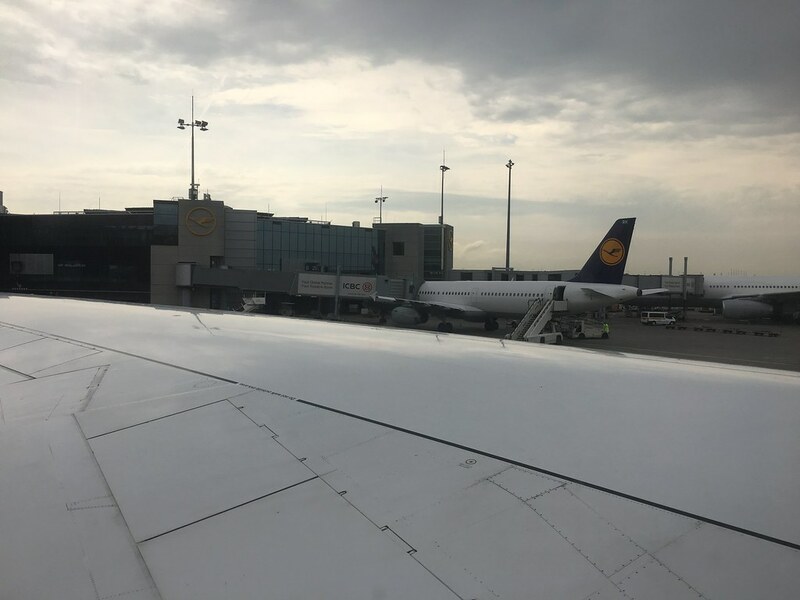 Though Lufthansa is a great airline to fly (BLR - DTW with just one stop), the connection time, especially during the Summer is really short. I have generally had a decent AVML while flying out of Frankfurt, but this one was rather disappointing, short on quantity and taste. AI seems to be great here, but I've never flown them. The idlis were eatable though they had turned slightly rubbery due to the reheating.